Click Here for Hours | Ask About Our Tokens! Pennsylvania approved, no additives, from earth to your bottles in 20 seconds, fresh! For anyone itching to hit that long ball, just jump right over to the driving range and let it fly! 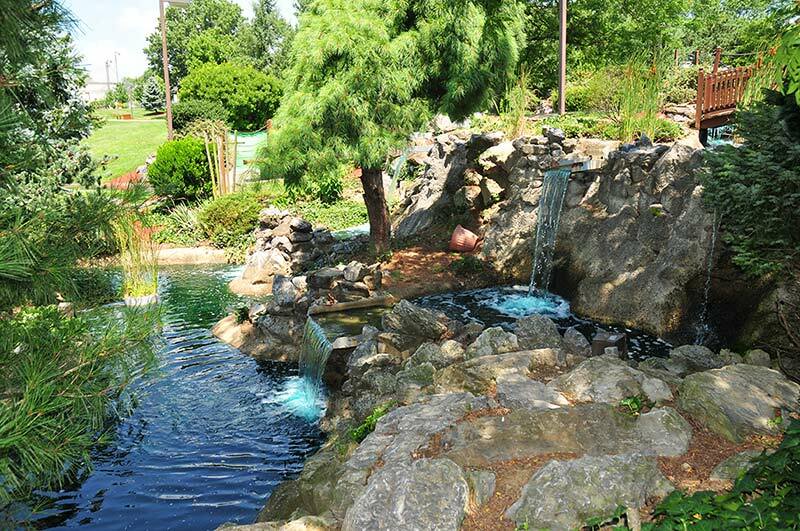 While playing on our challenging 20-hole miniature golf course, enjoy meandering among our 30 waterfalls and look out over miles of scenic Lancaster County, Pennsylvania. Just getting to the tee is an experience to treasure as you stroll among the flowered gardens, across wooden bridges and from waterfall to waterfall. Even waiting for an in-use tee gives you the opportunity to rest on a bench or in a gazebo as you gaze across the beautiful Lititz countryside from atop Zion Hill.